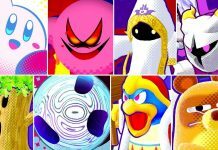 Kirby Star Allies Is an epic game! It has so much content it’s insane, not only that but did you know that all of the DLC they’re providing is free?! The DLC is pack with so many easter eggs, characters, levels, bosses and so much more all for the price of nothing! I’d just like to thank Nintendo for making games like this. They’re amazing!